Autumn is officially here, so it’s time to cook some lovely comfort food. 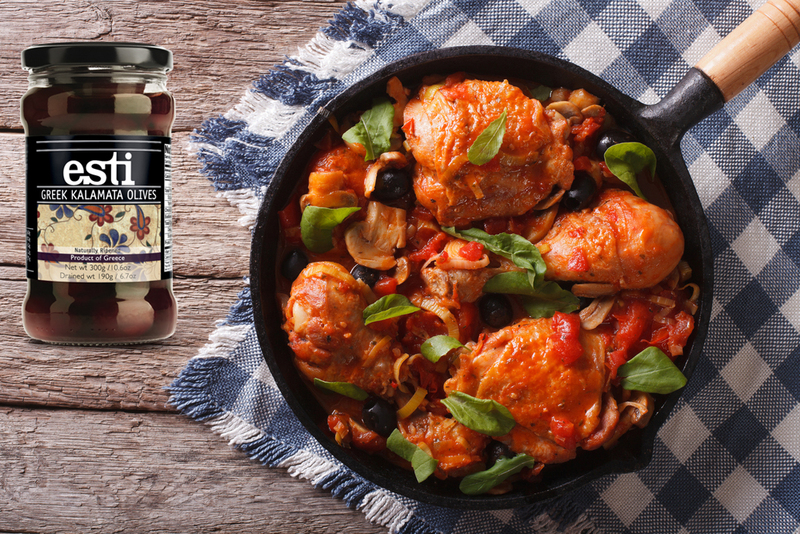 Stews are the ultimate comfort food for the first days of cold weather and today we’ve got for you a chicken stew with esti Kalamata olives! Cover the chicken with the flour-salt-pepper mix. In a large skillet heat half of the olive oil. Sauté generously the chicken pieces on all sides. Place the sautéed chicken pieces in an oven pan. In another skillet heat the rest of olive oil. Sauté the onion until soft. Add mushrooms to skillet and sauté for a few minutes. Add tomatoes and wine and continue simmering for a few minutes. Pour the sauce over the chicken in the oven pan. Cover the oven pan and bake in the preheated oven for 1 ½ hours. Serve immediately with an elegant, fresh Greek red wine. This entry was posted in Around the Greek table, THE ART OF LIVING WELL / and tagged comfort food, meat on 9 October, 2017 by George Papageorgiou.